Sow April-June. 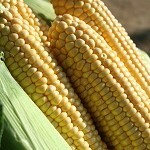 The two described as 'extra tender' are a recent development in sweetcorn breeding - tender with a very sweet taste. New variety. A very early -'super sweet'. 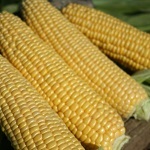 New mid-season 'super sweet' variety. Extra tender mid season variety. 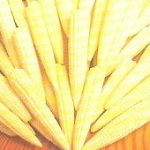 Special variety for small 4" cobs. Plant close together. Extra tender, first early variety. 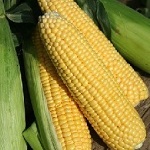 Heavy with 14-16 rows of golden kernels.